We have three important concerns that might need to be emailed to the Oak Meadow Homeowners Association. 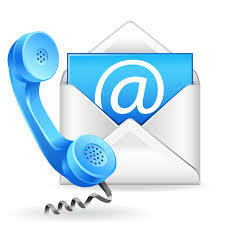 We have three important email addresses for Oak Meadow Homeowners Association. Oak Meadow Board of Directors will meet at 6:30pm Tuesday, May 7th. The meeting is open to all Oak Meadow Homeowners for listening only, but because space is limited please RSPV to directors@oakmeadow.cc by 4:00 pm Monday May 6th. •	Needed repairs to HOA Fence at HOA entryway. •	Removal of dead and dying trees in HOA entryway. •	Update on Financials – Account Balances, Past Due Assessments, etc. If you have any questions concerning our neighborhood please feel free to contact the Board of Directors, we would love to hear from you!! What: National Night Out is a time to meet with neighbors and learn about deterring crime in our community. BBQ, sides, and drinks will be provided. Kathryn B started with introductions of Board Members. She then discussed how we are using the Association Services, an HOA management company, to help maintain the HOA books, file taxes, collect assessments, send postcards and mailings, and help support the board of directors. Some additional services are available to the HOA should the HOA elect to use them such as drive-through neighborhood inspections for violations to the covenants and restrictions. Kathryn also discussed how the HOA is continuing to use Green Teams to maintain the common areas of the neighborhood. The majority of the HOA’s expenses come from lawn maintenance. If you see any lawn maintenance issues that need to be addressed please let someone on the board know. So far Green Teams has been very quick to address any concerns we have had. Kathryn turned the floor over to Office Mike Watson, Bryan Police Department Neighborhood Enforcement Team. (1) Officer Watson addresses the issues the HOA and neighbor hood has been having with the abandoned house on Summerwood Loop. He spoke directly with the Bank and does not anticipate any further problems. However, if something should come up please let him know ASAP. (2) Neighborhood National Night Out is Tuesday, Oct 2nd. NNO is a great opportunity to get to know your neighbors. The National Night Out Kick-Off Event will take place Saturday September 15 from 10am to 2pm in the Bryan Target Parking Lot. EVERYONE is encouraged to come out. Area Police and Fire Departments will be there. For more information see the Bryan PD NNO info page. There will be many activities for the whole family, including kids finger printing, bounce houses, and some live demonstrations. (3) New Cell Phone in School Zone law is in effect. The new law is only applicable during times that the school zone lights are flashing and it is enforceable as the reason for the officer to pull a person over. Justin Malnar gave treasurer’s report. The current checking account balance is $26,173.52 and savings balance is $602.19. Year to date we received $16,512.31 in deposits from assessments and have spent $10,811.90. He estimates the HOA will expend approximately $5,500 from September to December 2012. YTD HOA costs include landscaping, utilities, HOA management fees, and attorney charges. There are currently 5 houses that have not paid 2010-2011-2012 HOA assessments and an additional 5 not paid for 2012. This totals $3,703.93 in monies due to the HOA for assessments, collection fees, and accrued interest. Association Services will continue to send invoice to those homes that are still outstanding. The remaining 102 properties have been paid-in-full or are making monthly partial payments. For 2012 the HOA Board of Directors lowered the annual assessments from $200 to $150. The HOA should “break even” on deposits versus expenditures for 2012. Based on this information the current BOD would recommend continuing with $150 for 2013. The new BOD will work with Association Services to send out invoices for 2013 assessments in the next couple of months. Likely this will follow the same timeline as previous years, assessments due January 1st and considered late January 31st. Overnight Parking on the Street – Per Covenants and Restrictions (Article 16) using the street for overnight parking is prohibited. New Development North of Oak Meadow and Autumn Lakes – Some homeowners received notices that this development was being reviewed by the City of Bryan Planning and Zoning and City Council. An emphasis was made that not all homeowners received this notice and it would be beneficial for all homeowner to share whatever information they may receive. The Yahoo Group Listserve is a great mechanism for this (THERE IS A LINK ON THE RIGHT HAND SIDE OF THE PAGE TITLED “JOIN THE YAHOO GROUP). One homeowner has already expressed interest in serving as the HOA liaison on this issue. As this development moves forward the BOD will make it a priority to investigate the current status and provide timely updates to the HOA. HOA bylaws require a quorum of at least 51% of the homeowners to be present or represented by proxy at the annual meeting in order to conduct annual elections. However based on attendance and proxy present at the meeting, Quorum was not established. Kathryn and Justin discussed the duties of the Architectural Control Committee and Board of Directors. HOA members present nominated volunteers for the Board of Director positions. At the conclusion of nominations, no positions were contested. All members present submitted a ballot. HOA will ask Association Services to send a mailer out to the HOA members not in attendance at the meeting. The mailer will include a ballot for those nominated for BOD and ACC positions. Please join us for an Oak Meadow HOA meeting. Agenda Items to include: Election of Board Members and Architectural Control Committee, Financial Report, National Night Out planning, and updates on other neighborhood issues. Update: The agenda item concerning the new subdivision has been removed from tonight’s City Council meeting and has been rescheduled for the June 12th agenda. Please let me know if you have any questions. In the mean time we will share any new information we receive from the City. The Oak Meadow Yahoo! group is a private email discussion group where you can safely discuss community-related subjects without your discussions being available to the public.